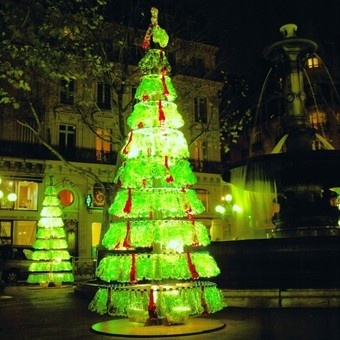 These DIY Christmas Trees have been spotted all over Paris. They are made out of empty (and cleaned) Sprite bottles and cardboard supports. Very Imaginative! Image | This entry was posted in Home, Garden, Design and tagged Christmas, Holidays, Recycle. Bookmark the permalink.